If you are looking to explore the captivating landscapes and beautiful attractions of Dubai, then set a meeting with the one of the prestigious and award winning tour operating company of the city, Gulf Ventures. They will show you Dubai in a completely different style and make your tour experience unforgettable with their splendid services and affordable rates. This company has an experience of 20 years in tourism industry, which gave them more knowledge about the famous local sites as compared to anyone else. Due to this reason, Gulf Ventures brims with their range of services today, as they offer plans which suits their clients. Locating Gulf Ventures office is not an issue too, as they have a work place in a prime location on Sheikh Zayed Road in DNATA Travel Centre of Dubai. Gulf Venture specializes in organizing thrilling and breathtaking tours in the United Arab Emirates plus Oman. Those, who are interested in taking an excursion deal of Dubai from Gulf Ventures, will find an array of services such as safari tours, city tours, excursions, camel polo and other activities like golf, etc. In addition to this, they also deal in cruise travel, individual travel and group travels. They also organize different types of events for their clients, apart from providing visa assistance, meet and greet service and airport transfers. If this is not enough for you, then ask for their special offers which are designed especially by keeping in mind different needs of their clients. So explore this majestic desert city with this Tourism Company and view unique attractions, consume traditional cuisine or see picturesque visuals of Dubai. 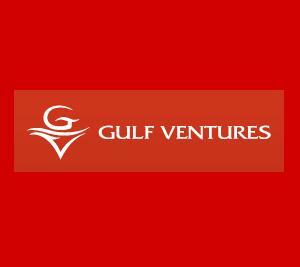 The regular operational hours of Gulf Ventures’ office are from 9:00 am to 6:00 pm on a daily basis. DNATA Travel Centre, Sheikh Zayed Road, Dubai - United Arab Emirates. 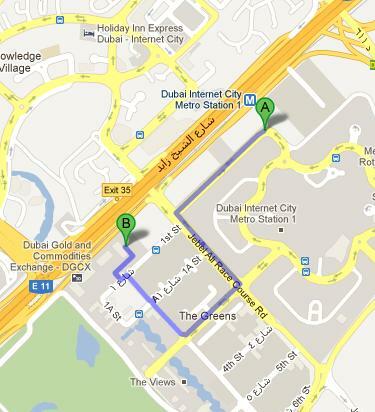 Dubai Internet City Metro Station 1 is 23 minutes walk and 1.9 kilometers journey from Gulf Ventures office. To bridge this gap on foot patrons need to head southwest towards Jebel Ali Race Course Road, after getting out of this metro station and then turn left onto Jebel Ali Race Course Road, before making a right turn towards 1st Street. Then at the roundabout take the first exit and go through one roundabout. After that make a left turn onto 1st Street in order to reach a turn that goes on the right side, from where make a right turn again and then turn left finally to reach the destination. The Greens, Al Sidir - Dubai bus stop is 400 meters far from Gulf Ventures office in Al Quoz, Dubai. This makes it a walking journey of about 5 minutes in which bus users head in the southwest direction on 1st Street after leaving this bus stop and then make right turn. After that bus users will turn right again and then make a left turn to locate the destination few feet away. To get to this bus stop you can use any of these bus numbers 93 and F31. See map for directions.